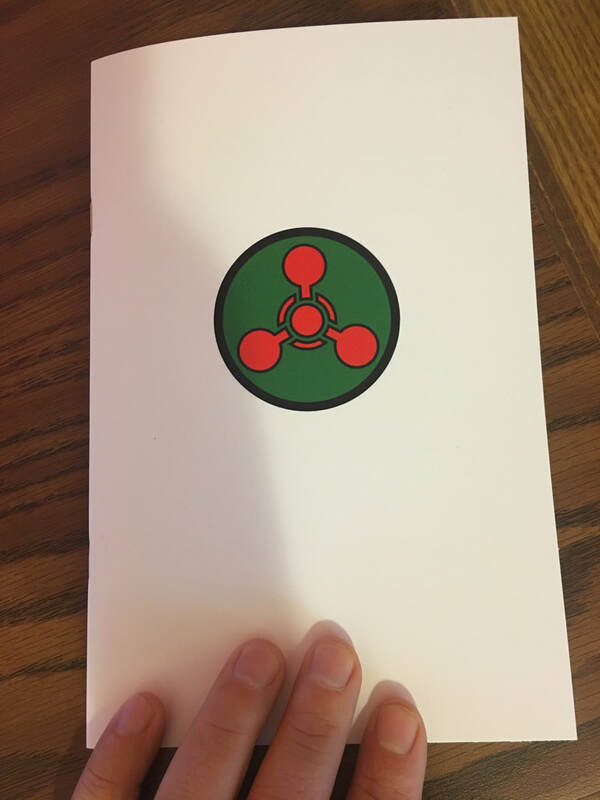 Brenza says this about the project: ​More found than written, these poems were composed using the structural formulas for the compounds of common chemical weapon agents. Constructed more than 5,700 miles from the Syrian border, they were made in response to the chemical attacks there, to the unknown number of civilians murdered or injured at the hands of their own government there, to ineffable atrocity. In this regard, they represent the impossibility to comprehend such slaughter. Hence, their silence. In another regard, these poems are fascinations with the geometric beauty and seeming neutrality of the chemical formulas themselves. It is through this latter effort that, I hope, these poems gain some value. Through their surface visual appeal, I hope these poems morph into something like a continuous band of serial horror, horribly tragic and horribly absurd. In short, I hope they become optical traps. ​PREORDER NOW and thank yourself later! Shirt Pocket will donate all $ after the cost of production to Save the Children's Syrian Children's Relief Fund.